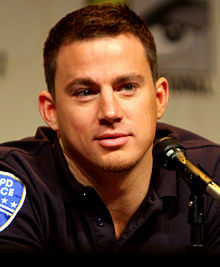 Channing Tatum is an American actor and film producer, best known for his roles in Step Up, G.I. Joe: The Rise of Cobra, Dear John, The Vow, 21 Jump Street, Magic Mike, and G.I. Joe: Retaliation. He has also appeared in films such as Coach Carter, She’s the Man, A Guide to Recognizing Your Saints, Fighting and The Dilemma. While known for his performances in drama and action films, he has also ventured into more comedic roles. Earlier in his career he worked variously as a dancer and model.